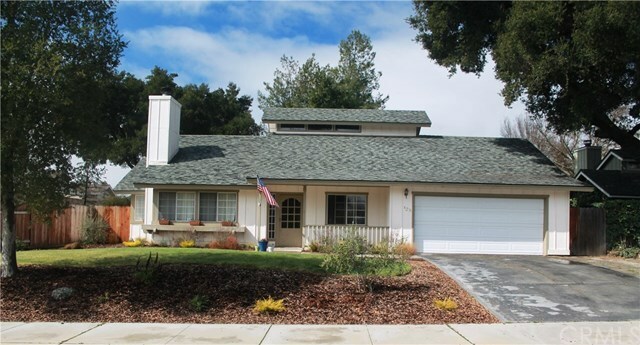 Popular Templeton location close to Elementary school & park with easy access to 101 freeway! This Beautiful large 3 bdrms 2 baths with nice upgrades in the bathrooms which include granite countertops, bush nickel fixtures and tile floors. Great Open Floor Plan which is light and bright with skylight and high ceilings. Living room features fireplace and Kitchen has oversized counter with counter seating for those quick meals. Tasteful flooring throughout home! Master Suite has Slider to Patio. Upstairs is a bonus room offers approx. 240 sq ft with many possibilities, can be used as 4th bedroom, playroom, office and more. the beautiful landscaping in front and back yard allows you to sit back and enjoy all this home has to offer. Enjoy those BBQs and late night fun under the Large covered patio. Bring the family and schedule your appt today!